Gaza, ALRAY - Intifada Youth Coalition said international solidarity activists are to take part in the its activity intended to break the naval Israeli blockade by bypassing six nautical miles limit. The coalition said Saturday in a statement that "it convened consultative meetings with foreign activists based in Gaza explain the details of the upcoming move, who in return expressed their willing to participate,"
The statement added the meeting discussed the scenarios of what occupation naval forces would react to act accordingly. 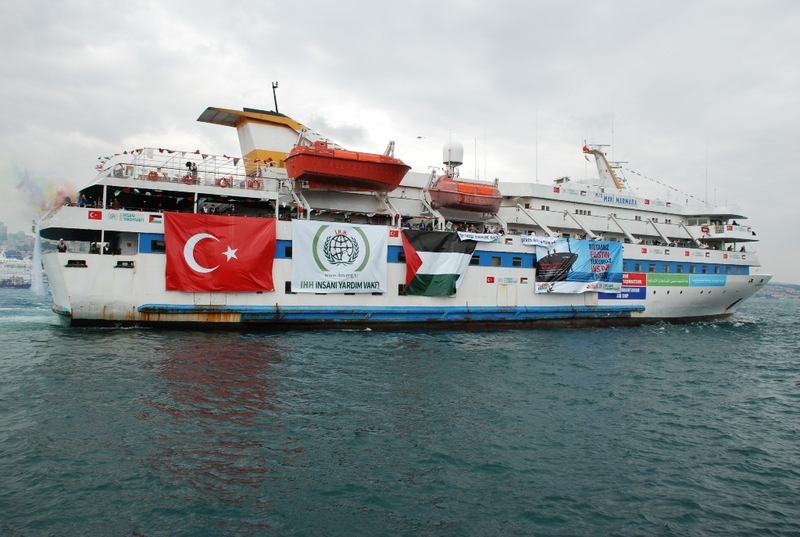 Some of the potential participants were on board the first ship sailed to the Gaza Strip and others on board the aid vessel Mavi Marmara which were raided by Israeli commandos in May 2010 having 11 Turkish citizens killed. The coalition saluted the revolutionary youths' resistance of the occupation in the West Bank and stressed its calls for a third popular Intifada (uprising). It called on West Bank Palestinians to go down the streets next Friday to support the occupied Jerusalem and the Holy Sites. Good luck to them. Somebody has to confront the Israeli parasitic cast of international 'agents provocateurs'. They obey no international laws and pursue the theft of Palestinian land without a thought for the inhabitants. THis theft has accelerated whilst the world concentrates on the Syrian crisis. Fortunately,world opinion is beginning to redress the balance of Israeli hasbara!